http://flevy.com/blog/wp-content/uploads/2019/01/calculator-calculation-insurance-finance-53621.jpeg 500w" sizes="(max-width: 300px) 100vw, 300px">Financing VAT in arrears is not something a lot of businesses do as a matter of course. The typical business collects VAT on qualifying products and services then turns around and uses the money to pay the tax bill when due. A VAT finance package is generally sought only when a lack of cash flow prevents a business from paying the bill on time. Financing might also be sought when a business has to correct or report errors. If you have ever had to make up for errors on your VAT return, you know exactly what is being referenced here. Both corrections and reporting of purposeful errors means the amount of VAT paid is not correct. Sometimes this works in a business’s favour but, more often than not, it usually means the business owes more tax along with penalties. So how would financing VAT work in the event of correcting or reporting errors? The same way it would if you sought to arrange VAT financing on a return that contains no errors. You find a lender, submit your application, and hope for approval. The only thing is that gaining approval might be a little more difficult depending on the errors made and how they reflect on the health of the business. As strange as it sounds, HMRC classifies VAT errors under two categories: unintentional and intentional. Common sense would dictate that purposely filing an incorrect VAT return is intentional, but that’s a different discussion for another time. For now, let us talk about correcting unintentional errors. The errors relate to an accounting period fewer than four years in the past. It VAT errors do not meet all three conditions then the business must contact HMRC directly to report the errors. And then there is paperwork involved. There might also be an investigation. To report intentional errors or errors that don’t meet the three conditions for adjusting on the next VAT return, a business has to either file Form VAT652 or write a letter explaining the errors. Correspondence of either form is sent directly to the VAT Error Correction Team at HMRC. Whether a business sends the form or a letter, the correspondence must contain detailed information about the error, its value, and so forth. HMRC will respond with an acknowledgement of the correspondence and an invoice for any amount due. Getting back to the idea of arranging a VAT finance package, the thing to remember is that the government expects payment of any and all monies due on the date they are due. It doesn’t matter whether a business is correcting errors from a previous VAT return or reporting a deliberate error to the VAT Error Correction Team. That is how all of this relates to VAT financing. Let’s say you are correcting errors from a previous VAT return. You have discovered that you miscalculated the numbers on a previous return and that you owe an additional £5,000. You have enough cash to pay the current VAT tax bill, but not enough to cover the additional amount. You decide your solution is to finance what you cannot cover with cash. By the same token, picture yourself in a situation of having to report a deliberate error from a previous VAT return. Not only does the government expect you to pay what you didn’t pay previously, they will also assess additional penalties on top of that. So that same £5,000 error could cost quite a bit more when you factor in the extra. You are looking to finance payment because you do not have the cash on hand. VAT financing is available to businesses in need of cash to pay their VAT bills. 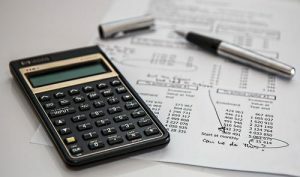 There are a number of different reasons businesses might choose to finance their taxes, including correcting past errors and having to pay penalties for purposeful errors. Thank goodness there are companies that offer VAT financing.